With child obesity increasing at an alarming rate, consulting your kid’s doctor is as important as adopting a healthy lifestyle for your children. It should be the first step in preventing childhood obesity. Most parents avoid discussing their children’s weight issues with doctors if they are overweight themselves. 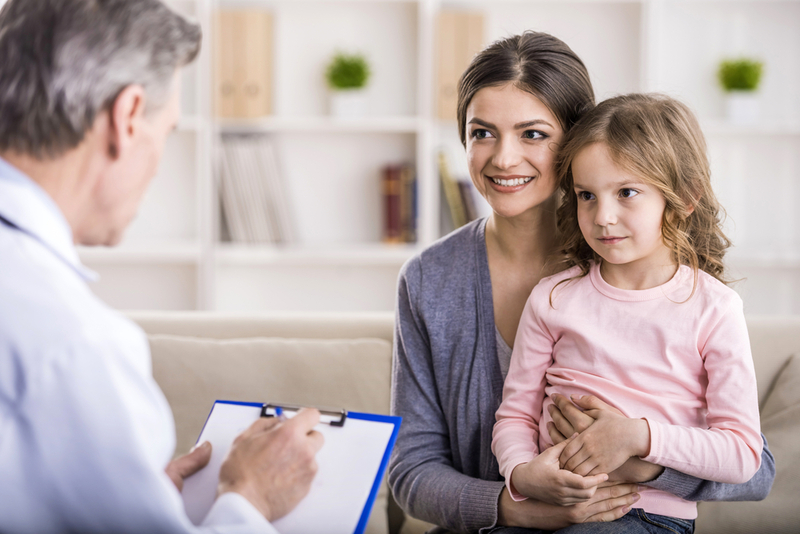 Surprisingly, some pediatricians don’t think it’s necessary to talk about it as they feel that doing so may hurt the parents’ self-esteem, especially when the parents’ self-esteem centers around their children. Parents can’t differentiate between overweight and healthy weight in children as many kids have had baby fat since birth, while other may look slender. Underestimating your child’s weight at this stage means your child can be overweight, and you may not even realize it. At various ages, children require different meal planning and physical activities. For example, a pediatrician’s diet plan for the preschooler may be different from the plan for a child of 10-12. You may benefit from knowing puberty’s effect on your child’s weight. Pediatricians can help you guide the eating habits of your children at various stages of their lives. A doctor checks your kids’ weight and height by calculating their BMI (body mass index) and observing those measurements on growth charts. The doctor can also check the blood pressure of your kids. On the basis of that examination, a doctor gives the right information about your child’s growth and any symptoms of obesity. Therefore, you must not shy away from discussing your child’s weight. You should ask the doctor about your child’s weight every time you visit, as BMI screening is required at age two. This age is crucial in developing healthy eating habits and choosing the right meals for the kids so they become familiar with them over time. How can we develop healthy eating habits? What is the right meal quantity for my child? What is a healthy snack for him? Does my family need to change its eating habits to encourage my younger kids’ choices? For this age group, your child’s weight should rise steadily and proportionately, as they are getting taller. The goal is to maintain a healthy weight through this period. Plus, at this age child start to be more tempted by candy and chocolate and spending the majority of their time watching T.V. and playing video games. How can I make my child choose healthy food without pressuring him to do so? How can I discuss with my child the food he sees on TV? What activities are recommended for my child who is spending more time indoors? How can I minimize TV and video game time for my kids? What is the relationship between puberty and a child’s weight? Teens need calories and nutrients to accelerate their growth, and parents may need to help them maintain their weight at this stage. They are more at risk of obesity and being overweight as they tend to do less physical activity and involve themselves more in video gaming, while having easy access to junk food. Plus, they need to balance their weight at this stage if they show signs of diabetes. How can I encourage my child to eat healthier? What are the healthiest food choices? Should I take my teenager’s frequent hunger seriously? How much of a workout does he need in a day? What do you think about my child’s current growth rate? Will it be enough to help him grown into his weight? Discussing these questions with your kids’ doctor will help you keep your kids healthy and in good appearance. In addition, you develop a smarter outlook and a better-informed approach to your children’s health. Along with following your pediatrician’s recommendations, always encourage healthy eating habits among your children and model good ones yourself.